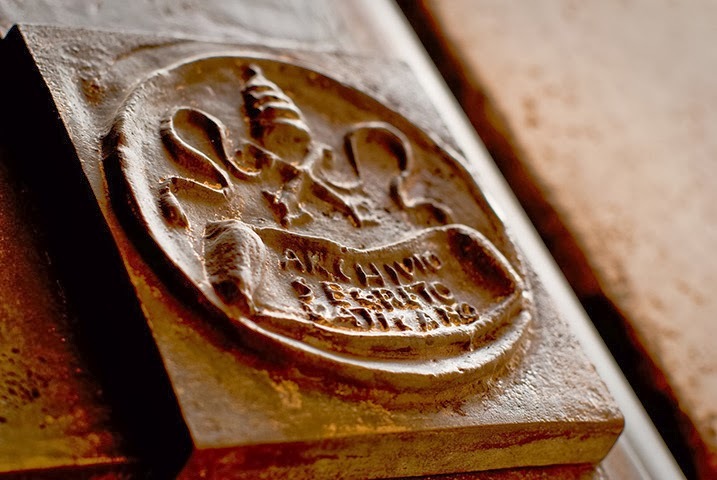 The new Archives in the Vatican was founded in 1610 by Paul V who transferred it to the new premises in the Vatican Palaces, with the documents and the volume till it was preserved in the Archive of the Apostolic Camera in the Vatican Library and in Castel S. Angelo. The Vatican Secret Archives also known as Apostolic Vatican Secret Archives was so called due to the analogy with the Apostolic Library named Bibliotheca Secreta from the XV century where the term secret since the XV century was adopted in both ecclesiastical as well as secular courts for institutions or people close to the prince while in this case it was the pope and his familia. The most reliable or a trusted person with whom the details of reserved or delicate matters were discussed was the one who would prepare the respective documents known as secretarium and hence in the family role of the prince, besides the secretarii, there existed secret servants, secret cupbearer, secret squire, etc; and the phenomenon was the same in the case of the papal family like the secretarii, the camerarius secretus, the sacrista secretus, the secretus carver etc. 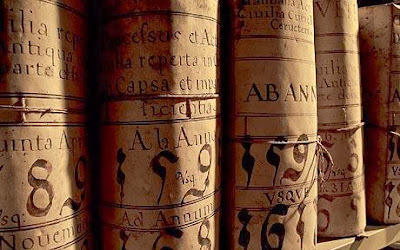 The requirements of Archives and the Secret Archives as per the revised code of Canon Law1983, states that every diocese should have an archive in which are kept the writings and instruments pertaining to the spiritual as well as the temporal affairs of the diocese, inclusive of all the personnel files. It further states that there should be a secret archive in every diocese where sensitive materials are kept specifying few specific items which needs to be kept in the secret archives which may include internal forum matrimonial dispensations, decrees of dismissal from religious life, secret marriages dispensation from impediments to orders together with documents pertaining to the loss of the clerical state of dismissal and invalidity of order or dispensation. 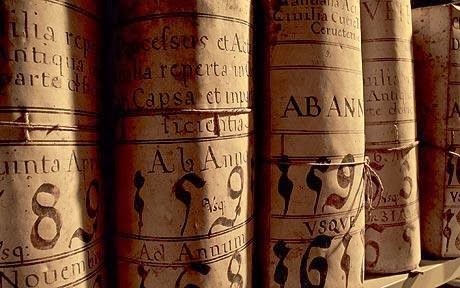 The records of canonical penal trials regarding matter of morals are also to be kept in the secret archive. There is no mention of any personnel files though it is known that every diocese keeps a personnel file on all clerics who are either on loan to the diocese or are incardinated in the diocese where the files have a wide variety of biographical as well as academic information, letters sent about clerics which are both good and bad, records of assignments together with medical as well as psychiatric records. Penal procedure matters are kept in the secret archive and when an allegation on any offense is made known, by law, he is obliged to conduct a preliminary investigation. Written record of the investigation should be made and retained and any investigations of priest alleged to have committed any crime on children or anyone would be considered to be under this category. For exchange of information in Church law, there are two places namely the external forum concerning matters where records should be kept and the internal forum where matters of conscience for which no records are maintained except the decisions and decrees of the Apostolic Penitentiary in Rome. The sacramental confession is the most common place for the internal forum where no records are maintained. The external forum pertains to all matters which have records irrespective of them being confidential or not and all records of canonical trials, penal procedures and investigations are of external forum and the matters in external forum are not applicable to the seal of the confessional. Moreover the communication between religious superiors, their subjects, bishops and their clergy are not considered to be internal forum matters unless it pertains to communication received in the course of sacramental confession or a spiritual direction or communication which is comprehended to be in the non sacramental internal forum. 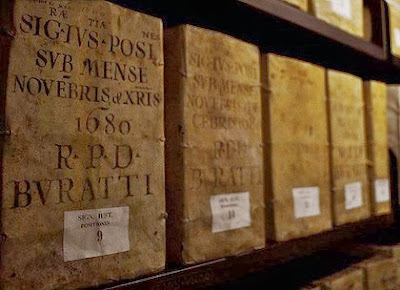 Besides, the documents in the general archive should not be removed unless with permission to do so from the bishop or from the moderate of the curia and the chancellor which are permissible to be removed only for a short period of time. The documents in the archives should not be destroyed but should be retained though certain documents relating to criminal cases, cases involving the allegation of the commission of a canonical crime, a person accused of crime and who has died or documents related to criminal case, ten years thereafter on closure of the case, are destroyed. A summary of the case should be retained when the documentation is destroyed along with the sentence of the tribunal if the case has been subjected to a complete canonical trial. 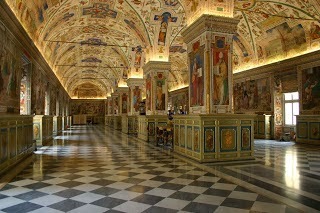 The entire documentation which is kept in the Vatican Secret Archive has an occupancy of eighty five linear kilometers of bookshelves which is gathered over six hundred and thirty different fonds and is still growing each year where the various papal delegations throughout the globe, the Secretariat of State as well as the various Congregations deposit hundreds of pieces in the Archive. There are a number of the Vatican Secret Archives which cross over the geographical border of the temporal dominion of the Church which once used to be the main institution of production and receiver of the papers preserved there which could be reached beyond the Orbis christianus and the storerooms together with the premises of the Archives have been increased throughout the ages.